The color and brightness of your teeth can make all the difference in how your smile comes across. Stained or discolored teeth can impact areas of your life if you often attempt to hide your smile, but our teeth-whitening products at Paris Family Dental can help you achieve a smile that you are eager to show. Teeth whitening solutions have become one of the most popular cosmetic dentistry treatments, and may be the answer to getting the smile you’ve always wanted. Paris Family Dental offers many teeth whitening options and we want you to know the details behind tooth discoloration and the available treatments. As you get older, you may notice that your teeth aren’t the same shade of white as they used to be when you were younger. Noticeable discoloration can begin as early as your late twenties. Tobacco Use, Coffee, Tea, Red Wine, Etc. Dr. Del Toro can assess your teeth, and whiten them to your chosen shade contingent on the state of your oral health. However, there may be a limit to how white your teeth can become. Genetics could be a part of your tooth discoloration. Furthermore, the whiteness of your teeth is partly relevant to what caused the discoloration in the first place. There are many teeth whitening products available to be used at home, including generic tooth trays to fit over your teeth. Results will vary based on the efficacy of the teeth-whitening product you use. The common gel that comes with these teeth whitening kits is typically not as strong as that used by dentists and is therefore less effective. Our teeth become whiter when they are in direct contact with the teeth-whitening agent. Consequently, whitening toothpaste doesn’t maintain contact with the teeth long enough to make any considerable improvements. 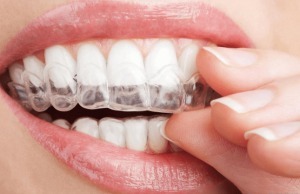 A custom-made tray is very beneficial if you want to perform the whitening at home option. This ensures that each tooth comes into direct contact with the whitening agent and is more effective at whitening with more even results. At Paris Family Dental, we can provide you with at-home trays. A visit with Dr. Del Toro would be very beneficial to provide you with a custom tray created for your teeth specifically. We have found professional teeth whitening to offer the best results for our patients. We will work with each patient individually to discuss the details of your treatment and any possible alternatives. Our top priority is to provide you with the highest standard of care. If you’re ready to brighten your smile, contact our Paris, TX dental practice today to schedule your dental exam and consultation. Dr. Del Toro, and our professional staff, perform all cosmetic dental treatments and services at our Paris, TX dental practice. You can call us at (903) 732-0061 to find out more about your dental treatment options. Visit us at 2333 Lamar Ave, Paris, TX 75460 to learn more about our team, our practice, and how we provide excellence in dentistry in our area.